The staff have all returned to work and have been busy planning for the year ahead. We are all very excited and looking forward to a great year of opportunities for our students and working towards reaching their potential. We have a few staff changes for 2019. Marnie Anderson has joined the Administration team and is working in the main reception and Georgia Walton is our PDHPE/Sport trainee for 2019. In the Primary school Rachel Tonkin will be teaching Italian and Joanne Morgan will be working as a Teacher Aide. In the Secondary school Stuart Hughes has joined us to teach English and work as the Head of Teaching and Learning for Secondary, Jeffrey Scott will be teaching Science and is Head of Secondary. At the end of 2018 David Crowden left the school and we will have a new Music teacher join us very shortly. Our Year 12 students of 2018 achieved commendable results that will enable them to take the next steps in their lives. Many of our students have achieved the results needed to access their courses, secure apprenticeships or positions in the workforce. Behind these numbers are wonderful stories of students who achieved their best, who built lasting friendships and who have well developed skills to take into their lives after Moama Anglican Grammar. It has been the culmination of a wonderful partnership between home and school to support these young people and we are very proud of all of them. I hope that the students are keen to return to school and are looking forward to being with friends, but, to also learn new and exciting things. I am sure the Year 12, 2019 students have balanced a break with some work over the holidays and have begun counting down toward the end of formal schooling. The attitudes our students bring to school have a significant impact on their success. This was recently shown in a PISA (Program for International Student Assessment) analysis of 2015 data. The testing undertaken includes data from surveys of students, parents, teachers and school leaders across the world. This analysis clearly demonstrates that being a motivated student who has a positive attitude to learning has a significant impact on student outcomes. This is not just confined to the classroom and I am sure many parents are not surprised by this and can think of times when a positive approach has helped them learn new skills or acquire new knowledge. When we consider that our Kindergarten children who begin their formal education this year will graduate from Year 12 in 2031, it is challenging to predict what skills or knowledge these young people will need to flourish in the world. However, if they have developed intrinsic motivation and a positive attitude to learning, we can be confident that they will flourish rather than just survive. This is our goal as educators and we are excited about working with students and their families along their journey. 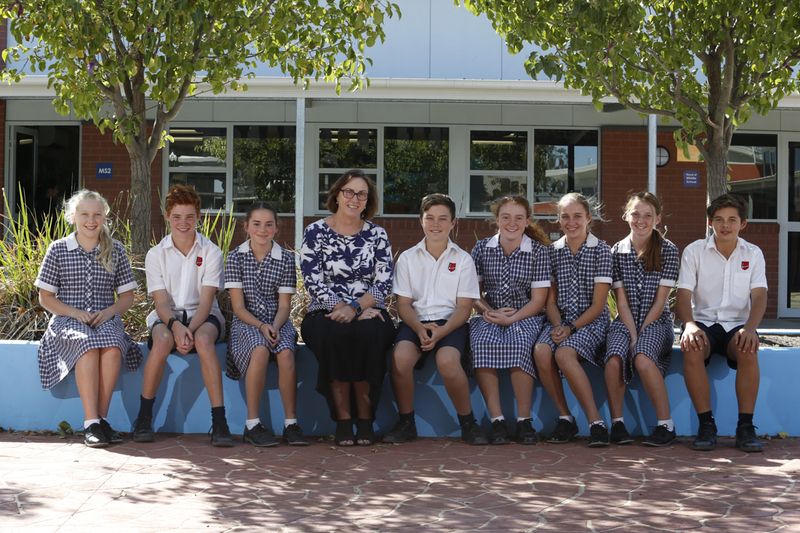 I am looking forward to exciting year of learning at Moama Anglican Grammar.